Good morning. It's Wednesday, April 3. • South Pasadena homes sell for $970,000 below market value. 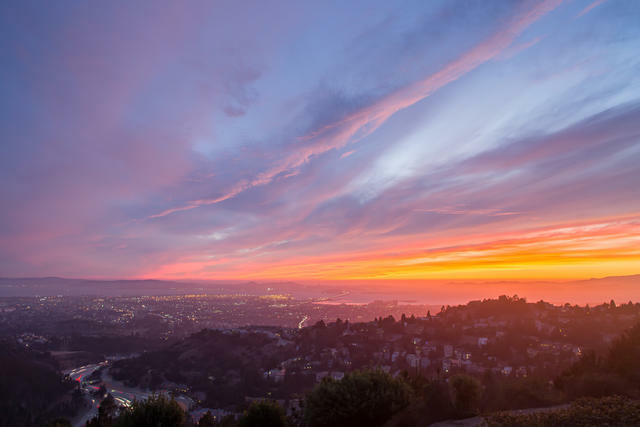 • A crowdsourced catalog of the Bay Area's most glorious views. 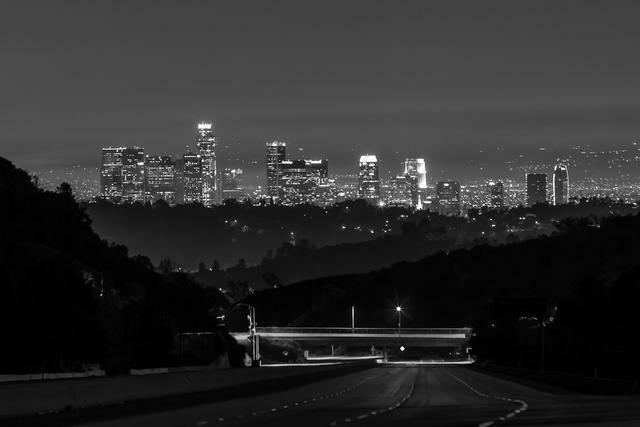 • And eery photographs of Los Angeles freeways with no cars. 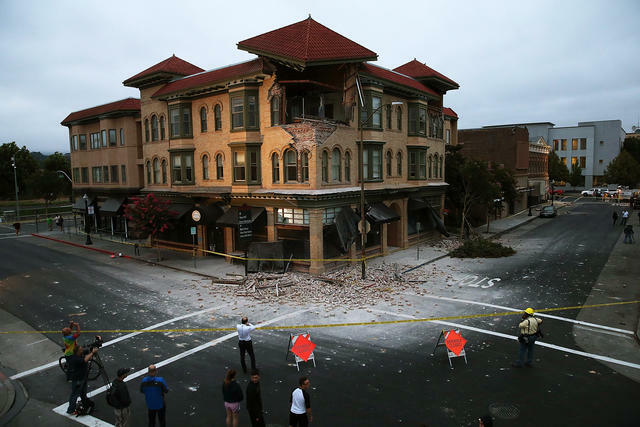 A building in Napa was damaged during an earthquake on Aug. 24, 2014. It's been so long since California experienced a major earthquake that seismologists are referring to the phenomenon as an earthquake drought. The last quake of magnitude 6 or stronger was in Napa almost five years ago. The calm period could foretell a devastating resurgence of seismic activity. Eventually, one seismologist told the L.A. Times, "we're going to dramatically see a change in earthquake rates." After the police shooting of Stephon Clark in Sacramento last year, California began weighing whether to adopt the nation's strictest police use-of-force standard. The debate essentially hinges on a single word. Proposed legislation would allow lethal force only when "necessary," rather than "reasonable." 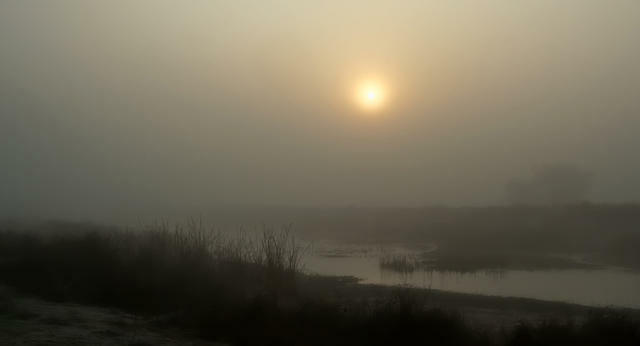 Fog enveloped a wetland in the San Joaquin Valley. Over the centuries, nearly 90 percent of California's historic wetlands have been filled in or plowed under. Now, as the Trump administration prepares a rollback of the Clean Water Act, state regulators have approved new rules designed to protect thousands of wetlands and streams from the spread of suburbia and agriculture. Attorney General Xavier Becerra banned state employees from traveling to South Carolina, citing a law there that allows discrimination against gays and transgender people in foster placements. There are now 10 states, mostly in the South, where California public employees cannot travel for official business. A spokesman for South Carolina's governor mocked the move, tweeting: "How will South Carolina recover?" Here's a view of Sequoia National Park. Fun fact: Redwood forests generate the greatest volume of living matter per unit of land surface in the world. 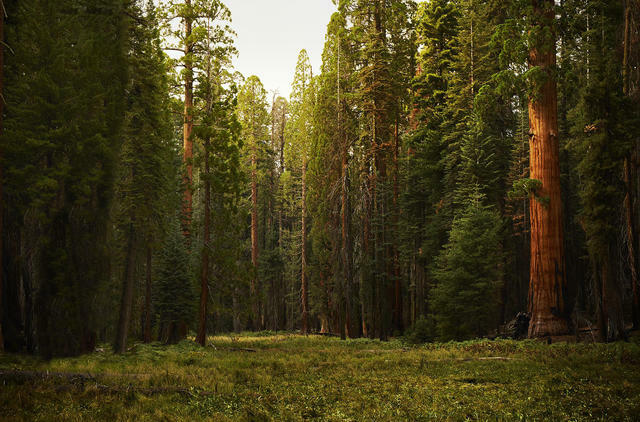 Another fun fact: The world's tallest, largest, and oldest known trees are all in California. Gif created from video by KPIX. The spillway at the nation's tallest dam was pressed into service Tuesday, two years after it crumbled and drove hundreds of thousands of people to flee. Water flowed evenly down the rebuilt spillway at Lake Oroville, without drama. Here's a video by KPIX that one outlet called "the most soothing thing you'll watch this week." Tesla now has the biggest CEO-to-worker pay ratio on record. Thanks to a deal approved by shareholders last year, Elon Musk was awarded a stock options package worth $2.28 billion, compared to the $56,163 salary of the median Tesla worker. That works out to a staggering 40,668-to-1 ratio. Musk, who has five mansions in California, has played down the extent to which he is motivated by wealth. Laura Krantz at work on her podcast "Wild Thing." 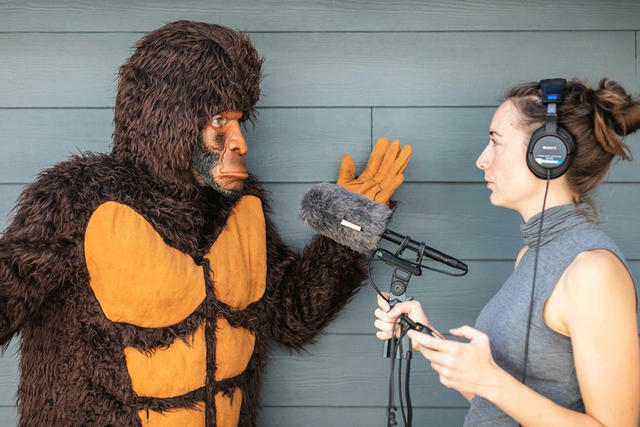 "Wild Thing," a podcast that explores the theories behind Bigfoot, has been described as "Serial" for Sasquatches. Laura Krantz, a reporter with NPR cred, spent two years researching America's greatest myth, introduced to the world by a Northern California tractor operator back in 1958. "In the end," she said, "I could never completely eliminate the idea of Bigfoot from my mind. I'm not crazy." Here's a view from Grizzly Peak Boulevard in the Berkeley Hills. The perch is included in a list of the Bay Area's most glorious vistas based on suggestions from readers of the S.F. Chronicle. A number are off the beaten path. Here's Herb Caen in 1994. Born on this day in 1916, the San Francisco columnist became as much a landmark of his beloved "Baghdad by the Bay" as the Golden Gate Bridge. In a profession prone to burnout, Caen wrote 1,000 words a day, six days a week for three generations of S.F. Chronicle readers — using a typewriter to the very end. He gathered gossip by living the life of a bon vivant, dressed in a smart suit and trademark fedora, often with a cocktail in hand. He died in 1997. The city's flags were lowered to half staff. 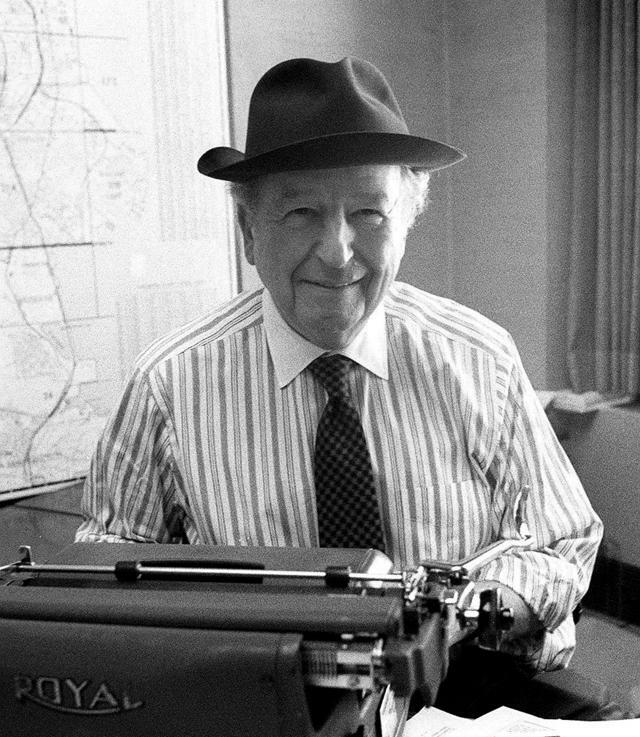 Here's Caen's obituary in the N.Y. Times, and a remembrance of him in the Chronicle that includes this line from former Mayor Willie Brown: "Herb Caen really is San Francisco." He told the crowd: "I hope I go to heaven, and when I do, I'm going to do what every San Franciscan does when he gets there. He looks around and says, 'It ain't bad, but it ain't San Francisco.'" 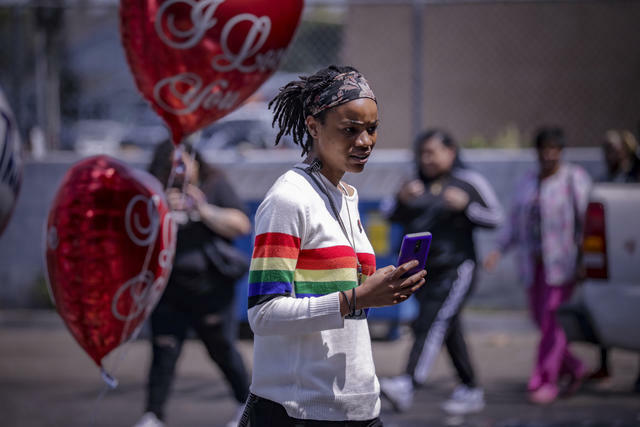 Asia Hampton visited a makeshift memorial for Nipsey Hussle at his store in Los Angeles on Tuesday. A suspect was arrested in the shooting death of rapper Nipsey Hussle. The police acted on a tip to locate Eric Holder, 29, who they said confronted Hussle over a "personal matter" before opening fire, killing him with a shot to the head. CNN obtained surveillance video of the shooting. Decades ago, Caltrans acquired a number of homes in South Pasadena in the path of a proposed freeway expansion. They rented them with the understanding that the tenants would leave once plans were finalized. But the project was scrapped. Now a judge says the homes should be offered to the renters at the price Caltrans paid. For homes now valued at more than $1 million, that means less than $33,000. Felicity Huffman is accused in a bribery scheme. 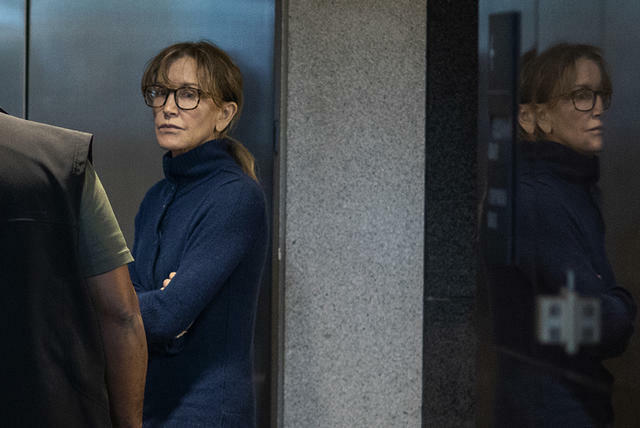 The two most high-profile defendants in the college admissions scandal — Felicity Huffman and Lori Loughlin — are scheduled to appear in federal court in Boston on Wednesday. So far, they've been silent. But pressure to cooperate has been intensifying. "The clock is now ticking and if [the] actors don't make a deal, as sure as the sun rises they will be indicted by a federal grand jury," a former federal prosecutor said. 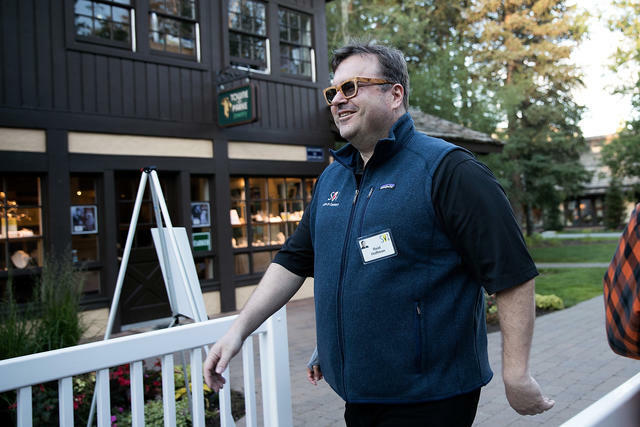 Internet entrepreneur Reid Hoffman sported a Patagonia vest. Patagonia gear, embroidered with a corporate logo, has been part of the unofficial Silicon Valley uniform for years. Now the Ventura company is getting more selective about its clients, excluding all but mission-driven companies. "There's a bit of excess happening, and they don't want to be associated with it," a tech founder said. In the mid-aughts, a photographer created a fascinating vision of Los Angeles without any cars on the road. He digitally erased vehicles and people from the photos to create the post-apocalyptic effect. Years later, another photographer, Alex Scott, took another approach. Instead of relying on Photoshop, he scouted out those magical moments in the dead of night, when not a single car is visible in one of the world's most congested cities.